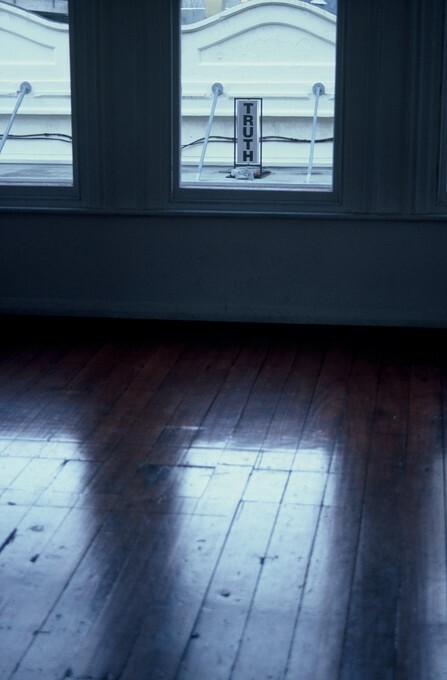 A wind-spun sign (the type familiar on streets of our cities) with TRUTH written on one side and LIES on the other, was placed across Cuba Street on the awning of a shop. This street-level sign being placed on the first floor transformed the street in two ways. Firstly, it made the awnings that hang above the pavements into footpaths, for shops, like Enjoy, to wander, with our eyes if not our bodies. 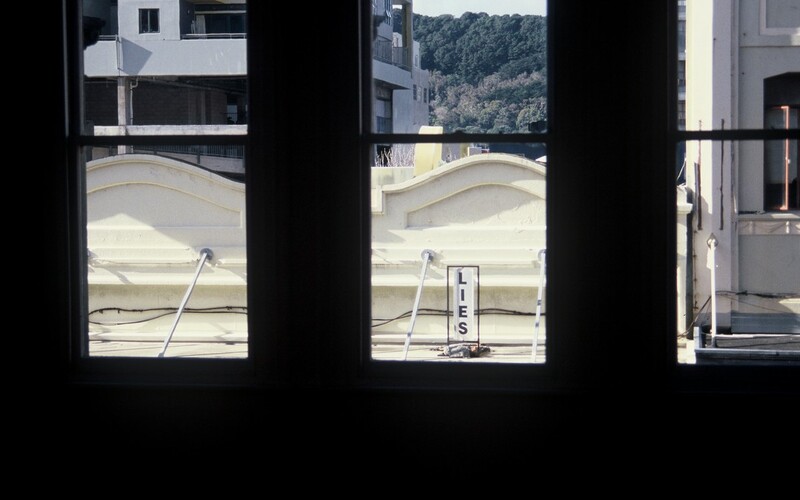 The second transformation was a more intellectual one, the sign, with its questionable statement of changing judgement, made the myriad of other signs viewable from the windows just as questionable. The whole street became full of strange juxtapositions and meanings. Something which had been passively absorbed before, now became a thing which we could question. On the other side of the gallery, a video monitor was placed in the window of a building adjacent to Enjoy. Displaying actors emoting (that is, practising the expression of emotions for a camera). The work also involved setting up the room with curtains and a very cheesy portrait of an American mid-west little girl, a la Dorothy, fabricated for the entertainment and judgement of the audience. This scenario being staged, but the stage being real, thus brought in the ambiguous truth/lies statements flashing out the front. The total effect of the show was one of amusement and disquiet as the world seemed to turn into something disturbingly more complex before our very eyes. 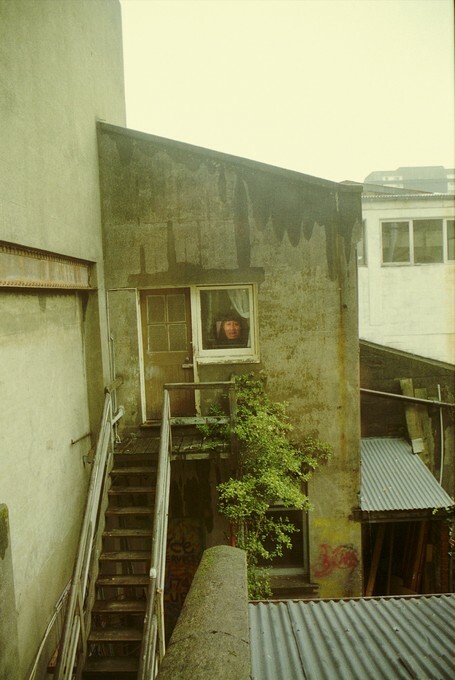 From Enjoy (May – June 2001) was a series of six one week exhibitions where the Enjoy curatorial team have stipulated that there be nothing inside the gallery space. Hence the name From Enjoy, could more literally be considered as 'art viewed from Enjoy'.